ShiftPixy | Your open ends! 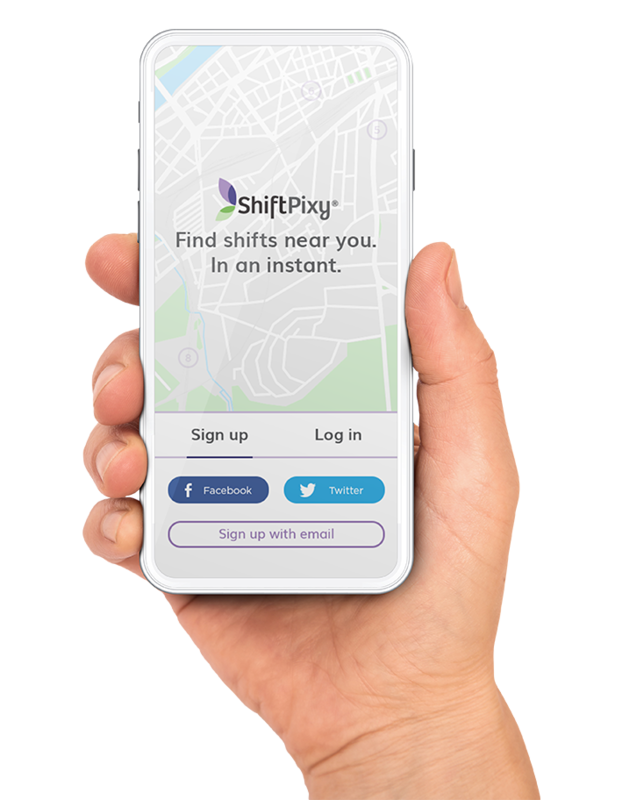 ShiftPixy’s app takes the hassle out of finding work when you need it fast. Fill your open shifts with available workers. A powerful scheduling and recruiting platform opening real-time access to thousands of mobilized, contingent shift workers. A unified platform to manage and process employee administrative duties. CREATE SHIFTS: Schedule gaps and turn them into shift opportunities. ADD TO YOUR SCHEDULE WITH ONE TAP: Offer a shift opening or accept a Shifter for the created opening. TIME & ATTENDANCE INTEGRATION: The app adapts with most time and attendance systems for easy integration. SET UP CUSTOM SHIFT ROTATIONS: Establish and maintain any custom rotation without compromising your compliance demands. SPEND LESS TIME SCHEDULING: ShiftPixy tracks and communicates with your fixed and flex staff. TRACK PAYROLL & EXPENSES: ShiftPixy is compliance driven; enables you to keep both your fixed and flex team members’ pay management accurate and simple. Connects available shift opportunities and available shift workers. 1. Broadcast your open shift through ShiftPixy Shifter Network. 2. Receive responses to your open shift call from multiple shifters based on your parameters. 3. Review the available shifter’s qualifications for your open shift. 4. Approve and confirm the shifter for the open shift.